Frozen in a tender embrace, this pair is a mythical counterpart to the doomed love of Romeo and Juliet. 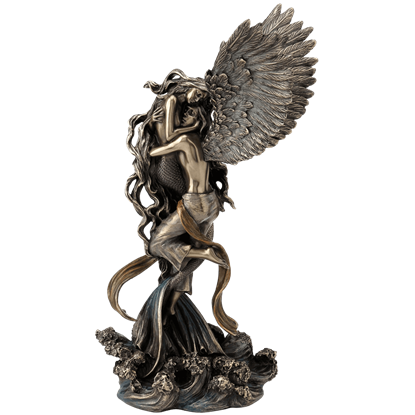 This Bronze Impossible Love by Selina Fenech displays an angel and a mermaid sharing an intimate moment above the ocean waves. 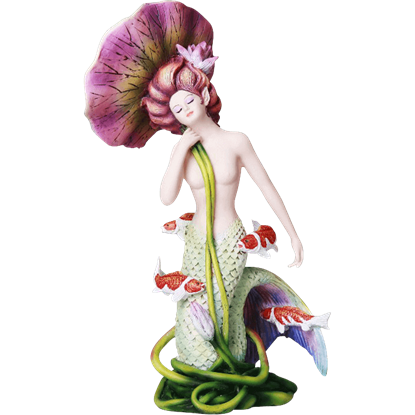 Often confused with sirens, mermaids display a similar half-woman, half-fish appearance but lack the femme fatale reputation of their mythological cousins. 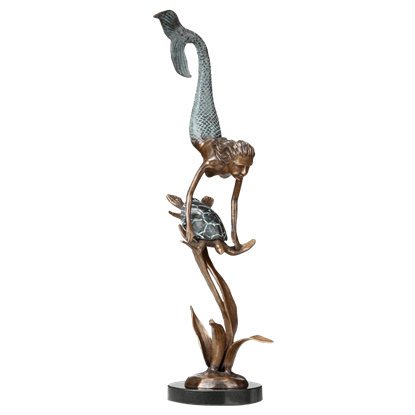 The Bronze On the Rocks Mermaid Statue depicts a mermaid seated on a rock. Everyone loves relaxing on the warm sand, the waves gently tumbling the rocks and shells at the waters edge. 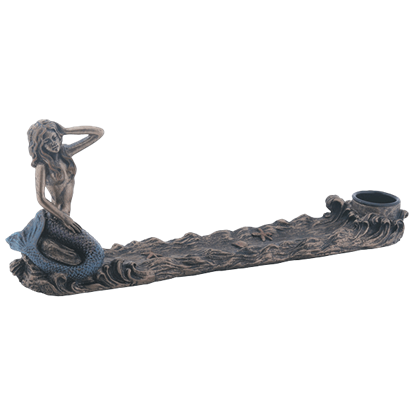 Taking a break from the cold deep waters of the sea, this Bronze Sunbathing Mermaid enjoys the sun and surf of a summer day. 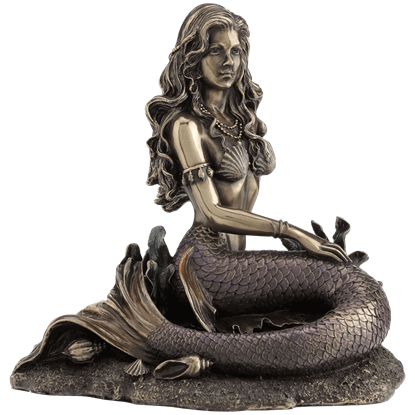 Compelled by impetuous curiosity, mermaids explore the deep oceans where the remains of shipwrecks lie. 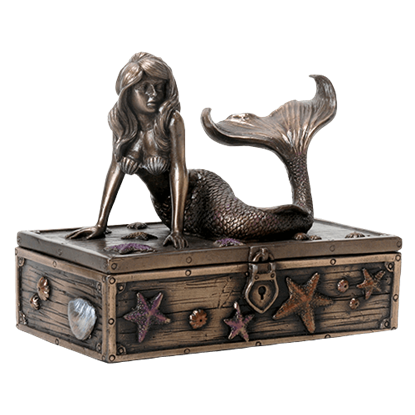 The Bronzed Mermaid Trinket Box depicts a mermaid posed on a starfish and barnacle-encrusted treasure chest. 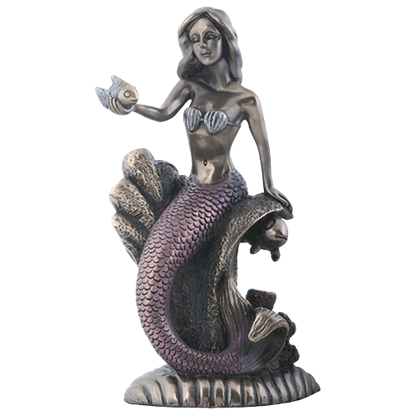 Bring the magic of the ocean into your own home with the Coral Reef Mermaid Statue. 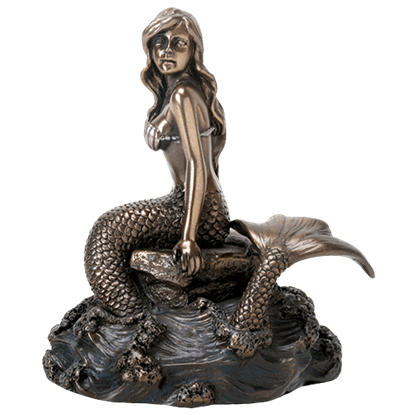 Rendered out of cold cast bronze in high detail, the demure mermaid depicted in this fantasy statue is situated on a seat of coral. There is something about water that moves the body better. 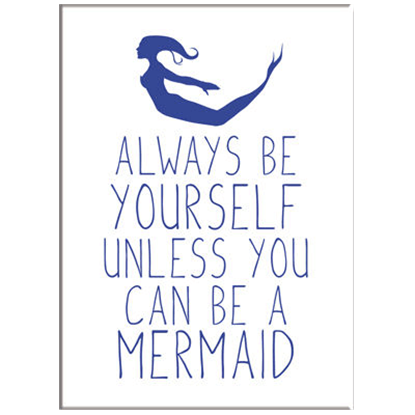 Perhaps that is why the best dances are described as fluid. 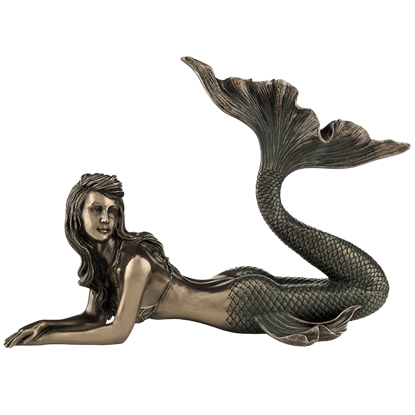 The Dancing Mermaid Statue takes one moment of a gorgeous submarine waltz and freezes it for you to place on a shelf. 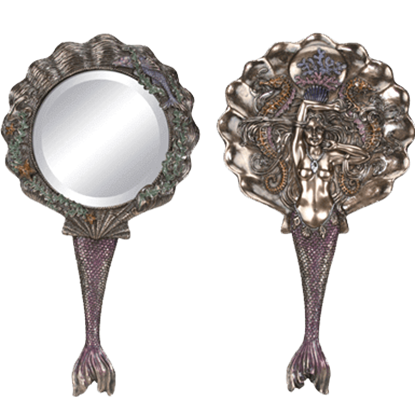 The deep reaches of the ocean hide away many mysterious creatures. 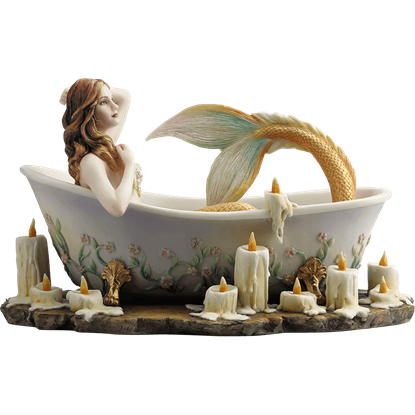 The Deep Sea Pals Statue displays a gorgeous mermaid swimming with her sea turtle friend among the sea grass in this unique piece of home decor.